High temperature generated and stresses induced as a result of turning of Ti6Al4V results in poor surface finish. 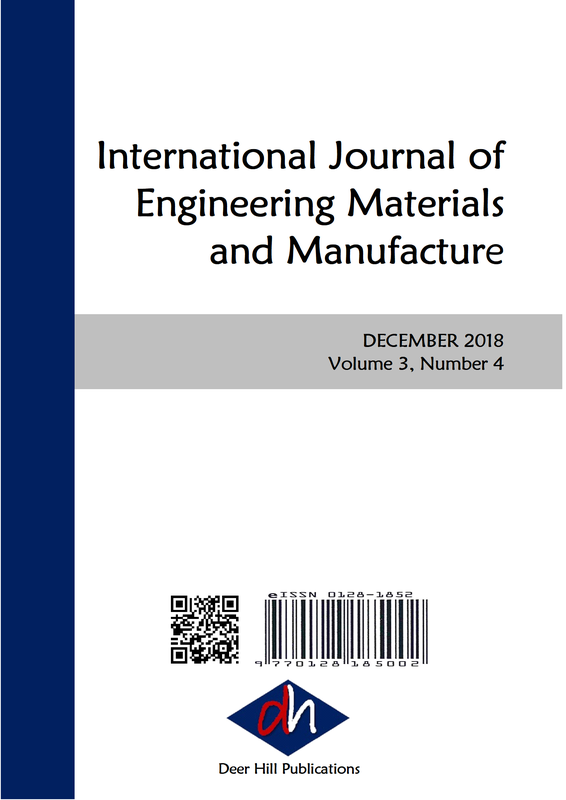 The aim of this study was to investigate the effect of coolant temperature on the surface roughness of Ti6Al4V which is a core material used as an implant. A cooling system was developed to reduce the temperature of the coolant (soluble oil) from room temperature to 2oC. Ti6Al4V was turned in dry and cooled (at temperatures 5, 7, 9 and 11 oC) conditions. The experiment was designed using central composite design of (Response surface methodology) Design Expert 11.0 to generate an array and optimize the machining parameters. The machining parameters used were cutting speed, feed rate, depth of cut and coolant temperature. Results analyses show that cutting speed and depth of cut had considerable effect on surface roughness of Ti6Al4V. Surface roughness reduced when coolant temperature was reduced. The results of this study shows that turning Ti6Al4V at a very low cutting temperature will ensure a better surface finish.